With the support of H.H. the Dalai Lama and senior lamas of all traditions, Gompa - Tibetan Monastery Services has been established as a not-for-profit partnership of charitable organisations. To help in the development of educational resources available in the monasteries and nunneries and to help support the range of social welfare and environmental projects both within each partner monastery and nunnery and within the local communities which they serve. As of July 2018, Gompa - Tibetan Monastery Services has already forwarded over USD $100,000 in sponsorships and donations to the partner monasteries and nunneries in India and Nepal. an online service for making offerings and donations to the partner monasteries and nunneries with no transfer fees. 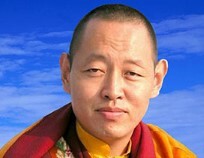 As advised by the senior lamas, the Gompa partnership aims to make it as easy as possible, for all those with an interest, to participate in the teachings, rituals, empowerments and ceremonies held at the monasteries and nunneries; to sponsor prayers and rituals at times of special significance or difficulty in life; and to make meritorious offerings on auspicious days or special occasions, just as one could do if the monastery or nunnery was in your own village, town or city. 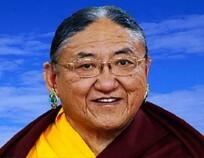 Gompa's online services are specifically designed for connecting with the dharma activities of the lamas and the monasteries and nunneries. 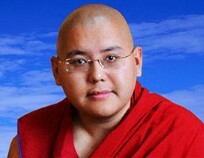 The services are free from advertising (unlike the commercial channels such as Facebook, YouTube and Google) and the webcast channel has been especially created as an appropriate environment for the webcasting of the teachings, empowerments and the other special events held at the monasteries and nunneries. Also, the personal data gathered on the Gompa site is never sold or shared nor used for marketing and advertising – as it is on commercial channels. Copies of all the video recordings of public teachings and other special events recorded by Gompa are provided to the libraries of the partner monasteries and nunneries so that the recordings can continue to play an educational role for current and future generations. 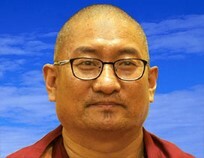 Gompa - Tibetan Monastery Services is also supporting a new, vitally important initiative recently established under the auspices of H.H the Dalai Lama: the creation of the Tibetan International Digital Library, see www.tidl.org. The Tibetan International Digital Library, whose trustees include H.H. 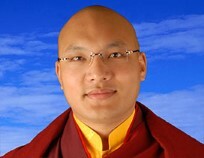 the Gyalwang Karmapa and H.E. Ling Rinpoche, is being established to provide an unprecedented digital library platform offering unified access to, and archival conservation for, the major Tibetan cultural resource collections worldwide. We invite you to support the continuation and expansion of Gompa - Tibetan Monastery Services by joining us as a member-supporter and/or giving a gift of Gompa membership and/or by donating to Gompa, or, if you would like to hear about how to join our investor-supporter group, please write to us at: admin [at] gompaservices.com. Gompa is managed, in partnership with the major Tibetan monasteries and nunneries of India and Nepal, by Tibetan Monastery Services Ltd, UK, a subsidiary of the Orient Foundation for Arts and Culture, registered charity #287817, see www.orient.org. 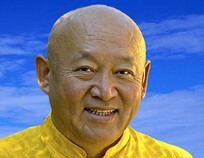 Initial funding for the launch of Gompa was raised by the Orient Foundation for Arts and Culture, in part from supporters of the Private Office of H.H. the Dalai Lama and also from the Foundation's own trustees. Gompa keeps its operating costs to a minimum and sets its requested member support donations and fees for services as low as possible based on the requirement to sustainably provide, develop and expand the online services over the long term. 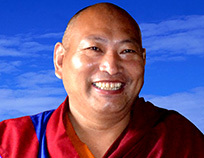 Any additional revenue generated through member-supporter contributions and the provision of services is donated towards the development of multimedia educational resources, in support of the partner monasteries and nunneries in India and Nepal; and towards the archival conservation of, and provision of access to classical Tibetan knowledge and arts study resources for scholars, students and the Sangha worldwide. The Gompa head office is at Dehradun (North India) with webcast hubs also at Mundgod (South India) and Kathmandu (Nepal). The Dehradun head office staff (from left to right): Urgyen Tenzin (Webcaster), Lobsang Palden (Director, India, and Head of Webcast Production), Yangchen Lhamo (Chinese Liaison), Tenzin Chokey (English Liaison), Tenzin Woebum (English Liaison). The Mundgod hub staff (from left to right): Karma Rinchen Phuntsok (Webcaster), Wangdu Phuntsok (Hub Manager and Head Webcaster). The Kathmandu hub staff (from left to right): Tsewang Yeshi (Webcaster), Tenzin Wangchuk (Director, Nepal, and Hub Manager), Tsering Tashi (Webcaster).